Stay tuned for the latest and greatest in country music videos, hand-selected by the CMNB staff just for you! Country traditionalist James Carothershas released the music video to accompany his single “Sinners and Saints” from his upcoming album Still Country, Still King: A Tribute To George Jones. The music video was exclusively premiered by The Boot yesterday. “Sinners and Saints” is available for streaming and download, and the album is available for preorder here. “If you have half as much fun watching this video as we did making it you might get thrown in the jailhouse!” Carothers said. “A special thanks to the good folks at “The Jailer’s Inn” up in Bardstown, KY, for allowing us to shoot some scenes in the old Nelson County Jail. Also, a shout out to our friends at Music City Light for donating a few beers to the project and one of their finest for the role of “Johnny”. Good times with good friends. Hope y’all enjoy it!” “A rollicking, rowdy time, Carothers’ “Sinners & Saints” video flashes between party time at a honky-tonk and prayer time in church pews. Those scenes are interspersed with shots of Carothers bringing in a scruffy, modern version of some eternal and classic Jones wisdom,” said Amy McCarthy, The Boot. 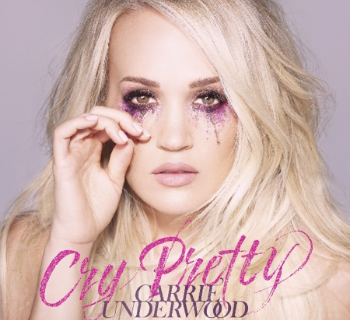 Carothers will host an album listening party at The George Jones rooftop in Nashville on Aug. 6. You can RSVP here. Still Country, Still King: A Tribute To George Jones will officially be released Sept. 7. Keep up with James on Facebook,Twitter, Instagram and YouTube, and on his website at www.jamescarothers.com. 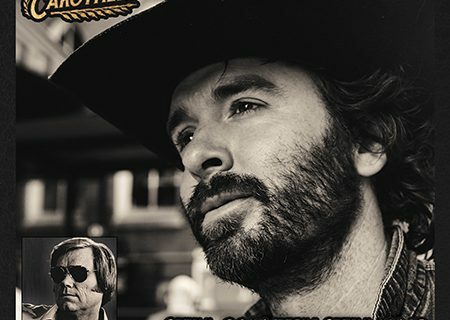 About James Carothers Mixing together Tennessee twang and southern storytelling, James Carothersmakes throwback country music for modern times. His first full-length album,Relapse, released in May 2017, bears similarities to classic releases by George Jones, Waylon Jennings and Merle Haggard. Carothers wrote most of the songs between daily gigs at The George Jones in Nashville. Since its opening in 2015, he’s performed hundreds of shows at the venue. George Jones’ own widow, Nancy, personally hired Carothers for the gig, giving him the opportunity to make a living playing music. James now plays several shows at venues in downtown Nashville each week when he’s not on the road. In 2018, James was nominated for an Ameripolitan Award in the “Outlaw Male” category. His hit song “Back to Hank” has received over four million views on Facebook and his Spotify and Apple Music artist profiles have been streamed over one million times combined. This September, James will be releasing his newest album, Still Country, Still King: A Tribute to George Jones. James will also be making his Grand Ole Opry debut this year. For more information about James Carothers, visit www.jamescarothers.com. Little Big Town is known for penning the most perfect summer anthems and this time they’ve really knocked it out of the park with the 80’s disco throwback “Summer Fever“. Float away with us on these golden vibes and let us know what you think!